*Update: This film has finally reached a distribution deal in the US with Magnolia Pictures, and will be released theatrically on August 31st. Here’s my review, back when it premiered at least year’s Tribeca Film Festival. Orlando Bloom stars as a dour, disillusioned young doctor in this thriller by Irish director Lance Daly (“Kisses,” 2008). Just starting out as a resident in a Los Angeles hospital, Bloom’s character, Martin Blake, is lonely, far from home (he retains his delicious British accent throughout), and close to his psychological breaking point. After he is repeatedly shunned and disrespected by people he sees as his inferiors—a feisty nurse (Taraji P. Henson) and a suspicious orderly (Michael Pena)—Blake tries to ingratiate himself to the chief resident (Rob Morrow), but even that doesn’t work. 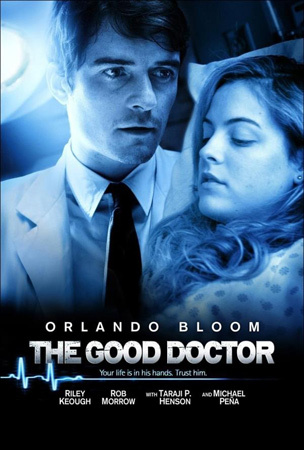 The only person who takes him seriously is a young female patient with a kidney infection (Riley Keough). Soon, Blake has developed a full-blown obsession with his patient, and things only go downhill from there. In classic thriller tradition, one bad turn leads quickly to another until it seems impossible for Blake to escape from the web of deceit he’s woven himself into. However, Daly’s film resists the reductive tropes that are often deployed to resolve this sort of conflict. There is no confession or courtroom drama, and despite a very emotionally overheated scene in which Blake contemplates escaping the situation entirely, he is eventually left to simply contemplate his actions and go on with his life. 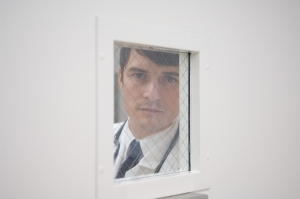 “The Good Doctor” has a lot to say about men in the medical profession; some of Bloom’s best scenes are those in which he visibly covets the lives that the accomplished doctors around him have made for themselves. It’s clear that Daly and screenwriter John Enbom are well aware that medicine is often as much about ego as it is about helping others, and this tension is perfectly expressed in Bloom’s performance. Throughout the film Bloom’s acting is nicely understated, at least until he encounters some of the more histrionic moments in the script. Overall, this is a solid film—its only shortcomings arise from the friction it tries to balance between its very restrained protagonist and the almost hysterical emotion that bubbles out of its climactic scenes. The soundtrack gets similarly overblown in many places. It’s problematic because it feels artificial: Blake doesn’t seem the type who would suddenly fall into such an infatuation with a patient, and after he’s done that he suddenly seems capable of many other things not in line with his character. Of course, that’s often the point in thrillers like this—people do things we never thought they would. But there’s an element of what could be described as magical realism in “The Good Doctor” that left me, at least, more perplexed than fascinated. Soon, Blake has developed a full-blown obsession with his patient, and things only go downhill from there. In class ic thriller tradition, one bad turn leads quickly to another until it seems impossible for Blake to escape from the web of deceit he’s woven himself into. However, Daly’s film resists the reductive tropes that are often deployed to resolve this sort of conflict. There is no confession or courtroom drama, and despite a very emotionally overheated scene in which Blake contemplates escaping the situation entirely, he is eventually left to simply contemplate his actions and go on with his life. 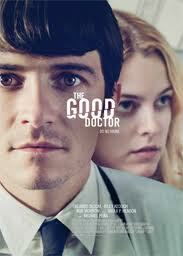 “The Good Doctor” has yet to reach a distribution deal in the US.